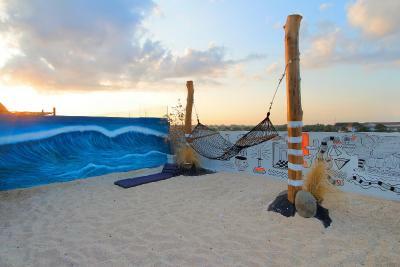 Lock in a great price for Koa D Surfer Hotel – rated 8.2 by recent guests! Very hip and fun! Brand new. Clean and the staff were very helpful. 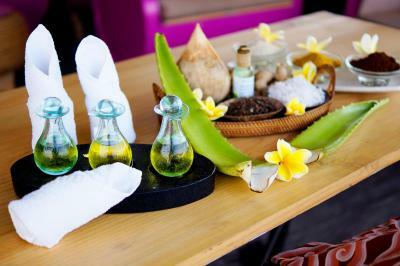 the staff very helpfully and the place not so far from beach or district canggu. Good for a simple place to stay near beach. Staff were friendly. Probably the best cost to benefit relation I've ever experienced in a hotel. Can't really put into words our experience in Koa D Surfer. The staff is great, everyone is always happy and available to help you, and I've got to say they really put some effort when it comes to making customers happy and satisfied. Terima kasih, guys! Hope I get back there soon! The rooftop pool is great. 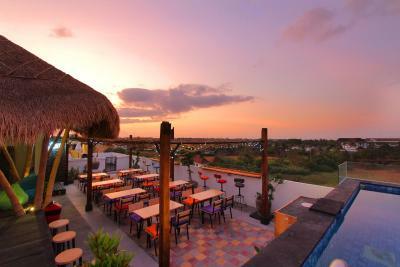 You can see beautiful sunset from there with beers . This place is fantastic! 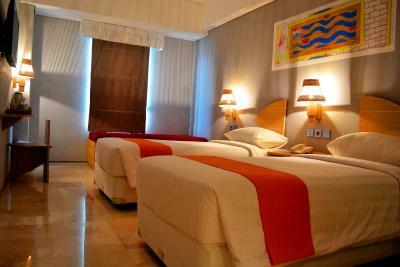 Bed was SO comfy, great pool, room was bright and clean! Not sure what people could possibly complain about at this hotel. 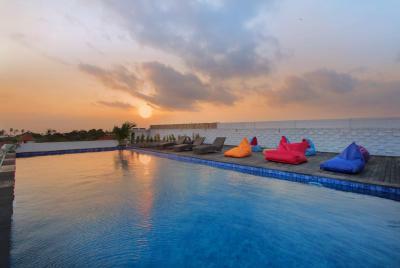 Rooftop pool was lovely!! Walls are so thin you can hear everything. We had to ask to be moved as they were cleaning the pool at 1am making lots of noise. 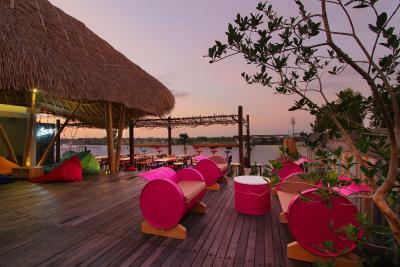 Koa D Surfer Hotel This rating is a reflection of how the property compares to the industry standard when it comes to price, facilities and services available. It's based on a self-evaluation by the property. Use this rating to help choose your stay! 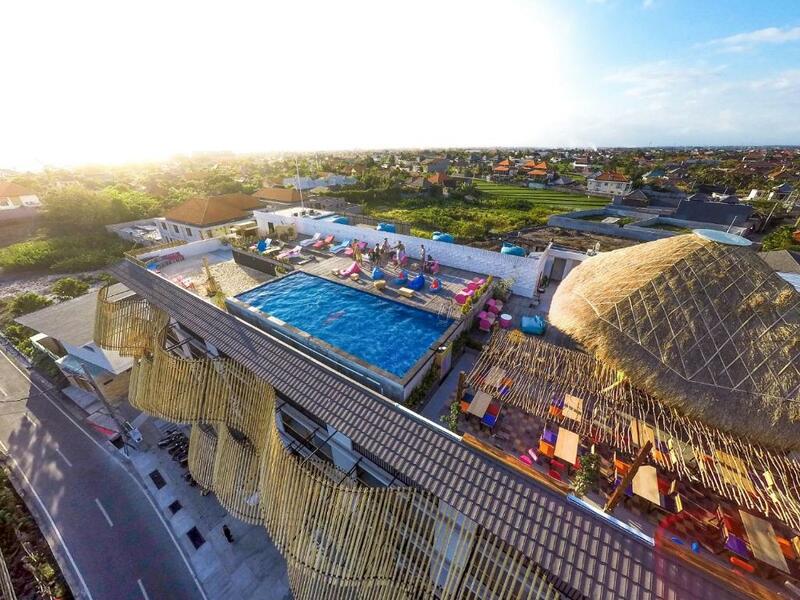 One of our top picks in Canggu.Located within a walking distance from Berawa Beach, Koa D Surfer Hotel offers a cozy accommodations in Canggu featuring beautiful bamboo architecture and stylish mural decor. 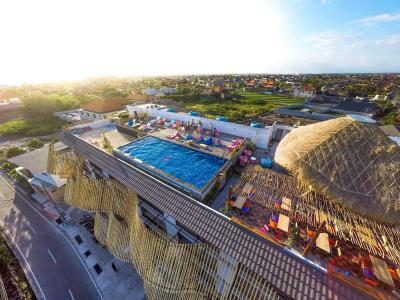 The property also offers a beach-like rooftop lounge with swimming pool with real sand and views of the sparkling ocean beyond, on-site restaurant and surfing equipment store. 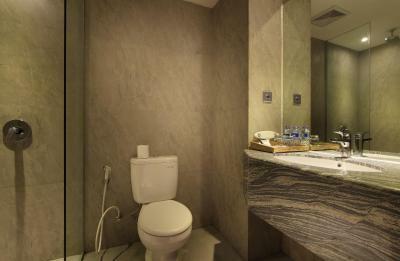 Each of the comfortable room comes with a satellite TV, air conditioning, and a private bathroom fitted with shower facility. 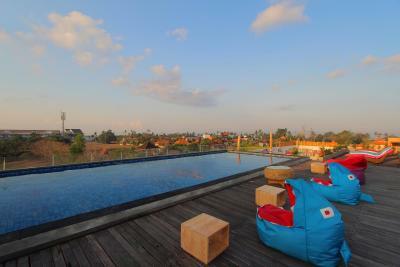 Some rooms have balcony overlooking the gree rice field or the quiet street. 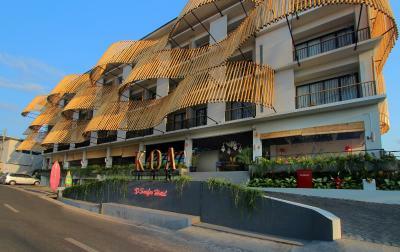 Other facilities available at Koa D Surfer Hotel include car and motorbike rental as well as airport transfer with additional charges. 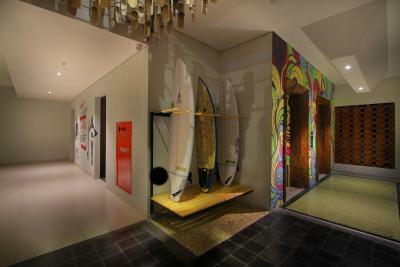 Parking area and surfboard storage facility are also available at this property. 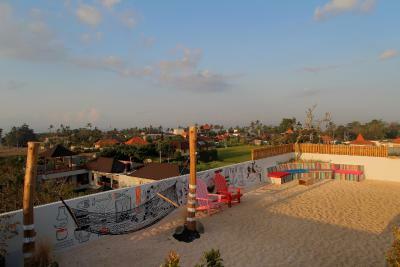 Berawa Beach is 2,300 feet from Koa D Surfer Hotel, while Batu Bolong Beach is 2.1 mi from the property. 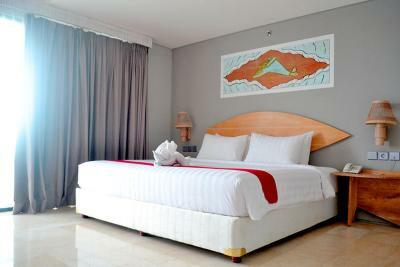 The nearest airport is Ngurah Rai Airport, 9.3 mi from the property. 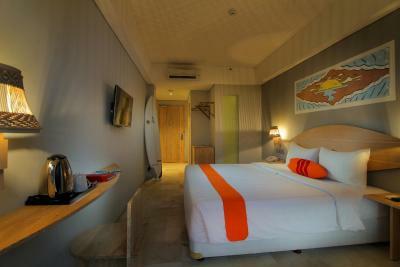 When would you like to stay at Koa D Surfer Hotel? 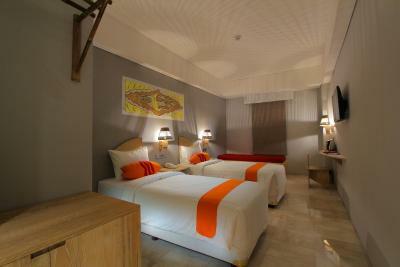 This twin or double room features a cable TV, air conditioning and electric kettle. 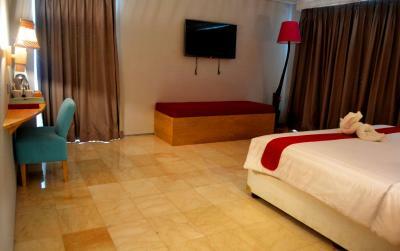 This spacious and air-conditioned suite comes with satellite TV and an private bathroom with shower facility. 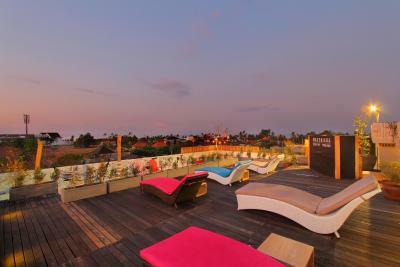 Some rooms come with balcony overlooking the green rice field or the quiet street nearby. 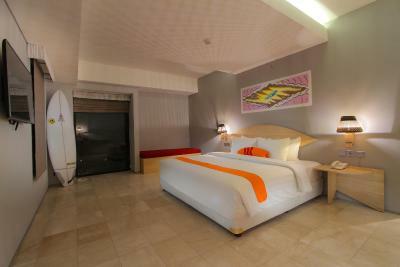 Each of these two unit of superior double or twin room comes with air conditioning, electric kettle, and a satellite TV. 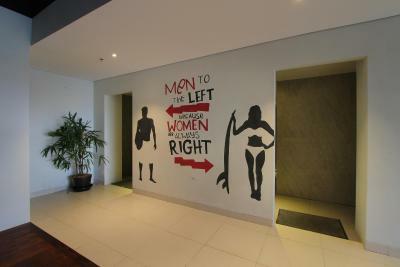 Please note that the rooms are not interconnected and adjacent rooms are subject to availability. 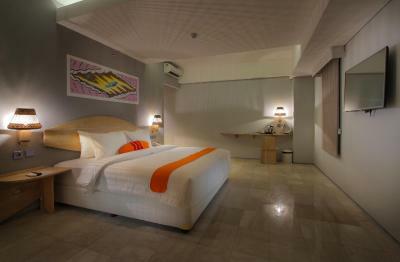 This twin/double room has a flat-screen TV, electric kettle and air conditioning. 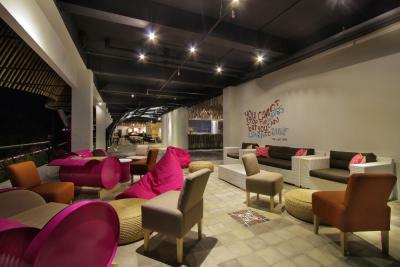 With a minimum of 3 nights' stay guests are entitled to 1-time food & beverage credit of IDR 100000 per stay. It is nontransferable, nonrefundable and only can be used during stay. 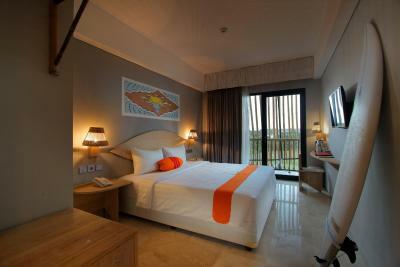 This twin/double room features a view, electric kettle and satellite TV. 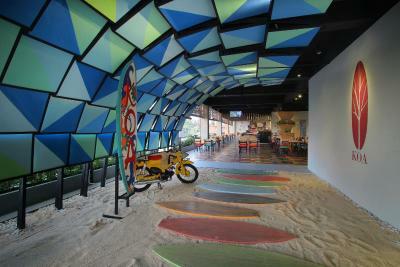 House Rules Koa D Surfer Hotel takes special requests – add in the next step! 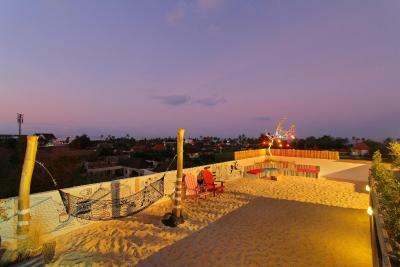 Koa D Surfer Hotel accepts these cards and reserves the right to temporarily hold an amount prior to arrival. They took the payment before we had arrived, so make sure the card you want to use is the one you highlight when you book. Be aware of having to pay a 500,000IDR deposit or handing over your passports when you check in. Airport transfer is expensive try and use local taxis or gojek. 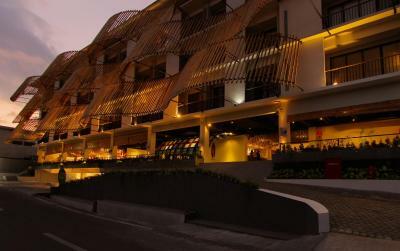 Great location for getting to Finns, the hotel is so sassy! Breakfast was amazing, staff were really nice. 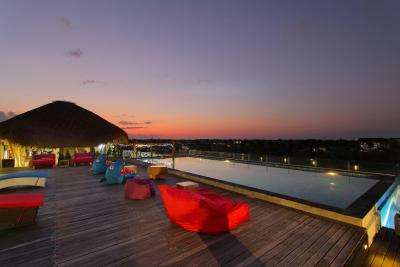 This hotel was really lovely - delicious breakfast, nice clean rooms and amazing roof top pool and bar. 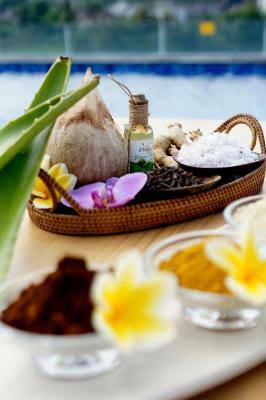 It is in the perfect location and the staff were kind and very helpful! Whilst the bathrooms were modern and clean, the grouting in the showers need to be redone as it makes them look dirty when they are not. All the staff were friendly and helpful. 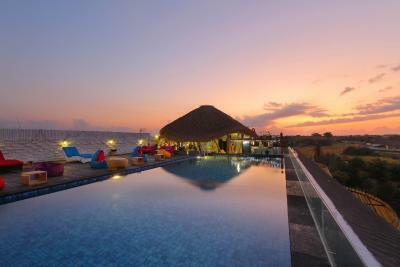 The rooftop pool and bar was awesome. Bar food and cocktails tasty and reasonably priced. Location was great! Near Finns and so many cool little restaurants and bars! Dark room, window couldn’t open. Bathroom needed ventilation. It was very humid in our room with the constant smell, breakfast is only till 10am! So we never got enough sleep in the morning. 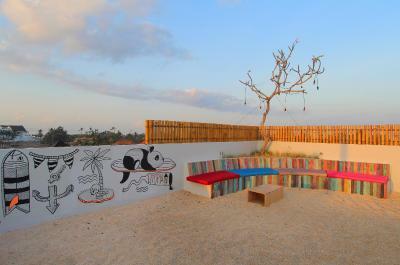 Don't waste your time guys, there are tons of much better places in canggu for same money. Breakfast was quite good in terms of food variety. Neighbourhood is quiet. Air quality and bathroom drainage. Also I asked for a quiet room which I didn't get. You couldn’t leave the aircon on when you left the room. On retuning it took 45 minutes for room to cool down again. 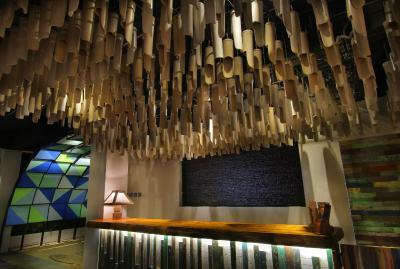 The modern freshness of the hotel. The fuel of the rented scooter was empty when I received it and the staff told me they’re sorry but there’s nothing they can do. Not helpful at all.